Several thousand Ethiopian Jews demonstrated last year against the discarding of blood they had donated, an action carried out by the Israeli Ministry of Health in fear of its being infected with AIDS. The Ethiopian Jews who call themselves ‘Beta Yisrael’ and are called by other Ethiopians the ‘Falashas’, which in one of their languages, Ge’ez, means the ‘exiled, aliens’, number around 65,000 and were brought to the State of Israel (SI) in two stages. The Falashas have had to face many obstacles from the date of their arrival. This last protest was not a protest against the scandal of discarded blood only but a protest against all the other problems which they have had to endure. Before we look at some of the problems faced by the Falashas we shall first briefly review their history, their beliefs and the state in which they were before arriving in the SI. Many scholars believe that the Scottish traveller James Bruce was the first to meet and report to the world the existence of the Ethiopian Jews when, in the mid-eighteenth century, he published his book ‘Travels to Discover The Sources of The Nile’. Bruce spoke in detail of his discovery of the Jews he called the Falashas, their customs and habits and some of their history as related by them. But Bruce was not the first to have met and reported the existence of the Falashas, because the Arabs had done so more than two centuries before him when they contacted the Falashas and got to know them closely. Some scholars believe that Judaism entered Ethiopia from Yemen earlier than Christianity through wars, trade or other routes, as Judaism was one of the religions of the Arabian Peninsula. But the Ethiopian Jews relied on the Septuagint (the Greek version of the Torah) which was translated in Egypt (c 2nd century BC), and there is no evidence that this version was known in the Peninsula. During the Persian rule of Egypt around 525BC Elephantine became a large military base inhabited by many mercenaries from different ethnic origins. Among those mercenaries were Jews who had their own “temple”, as is revealed from papyrus letters written in Aramaic from the fifth century. It is clear from these letters that some of their customs were different from those observed by other Jews in matters such as mixed marriages and sacrificial rituals. When the Persians were driven out of Egypt during the fifth century BC the position of those Jews was weakened and they started to complain of their treatment by the Egyptian priests who were pressurising and assaulting them. When their position deteriorated further, they left the island. It is believed that some of them went to present-day Ethiopia. To support this theory, its proponents cite the Greek historian Strabo, who lived in the first century BC. When writing on Abyssinia, Strabo referred to a settlement of Egyptians living on an island far up in the Nile who had gone to Meroe (Ethiopia) as “exiled by Psammetichus and are called Sembritae as being foreigners”. This is the meaning of the word ‘Falashas’ in the Ge’ez language. The Ethiopian Jews themselves believe that they originated in Palestine. They cite a story reported in ‘Kebra Nagast’ (Glory of the Kings: the Ethiopian national saga), a book which was written in the 14th century detailing the stories of the kings of Ethiopia. According to this book the kings of Ethiopia descended from King Solomon and Mekida, Queen of Sheba, who gave birth to a son called Menelik on her return to her land after her visit to Solomon. When Menelik grew up, he went to visit his father. Before his return to Ethiopia, King Solomon requested the heads of other tribes to send their eldest sons with Menelik. The High Priest Zadok declared Menelik a king in Ethiopia. When they departed to Ethiopia, Menelik and his companions took with them the Israelite ‘Ark of the Covenant’ from the Temple of Jerusalem and installed it in Aksum. The Ethiopian Christians say that after the Ark was moved the Holy Spirit left Israel and set down in Ethiopia. The Ark was placed in a holy site in Aksum known as the ‘Second Jerusalem’, where access is allowed to one priest only who serves the site. It is customary to see a model of this Ark in ordinary Ethiopian churches. The priests of the Christian Ethiopian church believe that they are the descendants of Levi and so do the priests of the Falashas. They also believe that the Ethiopians, and not the Jews, are the ‘chosen people’ because they possess the Ark. However, the Jews of Ethiopia say that they are the descendants of those people who accompanied Menelik from the kingdom of Solomon to Ethiopia. The origin of this last theory is traced to two references in the Old Testament where, in the First Book of Kings 10 1-13 and in the Second Book of Chronicles 9 1-12, the story is told of the visit by this Queen to King Solomon and his warm reception of her. In Kabra Nagast extra details, not present in the Old Testament, are added to show how the kings of Ethiopia were descended from King Solomon. Many scholars are doubtful of this theory because the kingdom of this queen had not been identified in the story. She had been called in the Old Testament ‘Queen of Sheba’, and the Qur’an calls the kingdom ‘Saba’, which is related to Yemen more than any other land. I believe that the Ethiopian Jews took some of their religious beliefs and customs from the Jews who came to Ethiopia, not necessarily from Yemen, before the arrival of Christianity and then mixed their beliefs and original customs with them. They subsequently, on the arrival of Christianity, adopted some of its beliefs and finally on their contact with modern Jews during the last century their Jewish beliefs were strengthened. The Judaism of the Ethiopian Jews distinguishes itself from that of common Jews in both belief and practice. Their Torah includes books that are not present in the Torah of common Jews, such as the Book of Enoch, the Wisdom of Solomon, Ecclesiasticus, Book of Jubilees, Baruch, Tobit and others. These books are called “apocrypha”, and their inclusion makes their Torah consist of 46 books. They, like the Qaraites and the Samaritans, but contrary to common belief among most other Jews, do not recognise the Talmud. (The Samaritan Sect separated itself from mainstream Judaism before the compilation of the Talmud). They, like the Qaraites, do not celebrate Purim or Hanukkah which are feasts ordained for other Jews but not prescribed in the Old Testament. At the Feast of Tabernacles they celebrate without building booths. The religious ceremony of ‘Seged’ is peculiar to the Falashas. Its main feature is the ascent to a hill or a mountain led by their priests. They, like the Qaraites, do not practise the blowing of the shofar ‘trumpet’ at the beginning of the year and on other occasions and do not separate milk from meat. The Falashas practise monasticism , unlike any other Jewish group today. According to some, this practice was introduced in the fifteenth century. In their country of origin the Ethiopian Jews lived in isolation from the rest of the Ethiopians and only contacted them in need. There are several reasons for this isolation. One of the main reasons is that they considered themselves better than the rest of the Ethiopians in their practices and faith and thus derided other groups. They usually lived in isolated areas close to flowing water. They did not enjoy travelling because they were very careful about their food, as they do not eat the food of the rest of the Ethiopians. They would wash if they touched a non-Jewish person. The Falashas did not maintain a good relationship with the kings of Ethiopia. With some, especially those who forced them to adopt Christianity, they had real conflict. It is worth pointing out here that the Falashas were not persecuted for being Jews, because the kings of Ethiopia took great pride in claiming descent from King Solomon. Both Menelik the Second (d.1913) and Haile Selassie added the title of ‘Lion of Judah’ to their names. But the kings of Ethiopia oppressed all religious communities, especially those living in isolation, whose beliefs differed from the Ethiopian church. Among the groups persecuted were the Muslims, the Protestants, the Catholics and some other small Christian communities. Jewish interest in the Falashas grew in the nineteenth century after they heard that missionaries had gone to Ethiopia following the publication of James Bruce’s book. The Jewish Alliance posted Joseph Halevy, orientalist and a Semitic languages scholar, to Ethiopia to contact the Falasha Jews there. He left for Ethiopia in 1867 and lived among the Falashas for several months. When he returned he brought back with him one of their young men to study Judaism in Europe. Some Ethiopian Jews entered the SI as individuals and requested the government to assist their brethren in Ethiopia but were faced with threats of imprisonment. In 1979 Menachem Begin formed a committee to study the Falashas’ case, but the committee failed to reach any conclusions. However, the government changed its mind following the changes of international conditions and the growing need for more immigrants. Several thousand were transferred in December 1984 and January 1985 in ‘Operation Moses’. A second stage in the transfer took place in 1991 in ‘Operation Solomon’. The Falashas threatened to demonstrate and to return to Ethiopia via Egypt to highlight their plight. Some of them threatened to commit suicide. They complained to the government and met the then Prime Minister Peres when they told him that they had been Jews for centuries and asking them to convert, carry out purification, circumcision and other rituals was humiliating and degrading. They informed Peres that some members of their community had committed suicide. Peres promised to look into the matter and respond in a few weeks. The religious establishment kept to its demands and the Falashas kept to their refusal to conform. They approached the Rabbis of the Reform Jews to supervise their marriages and divorces , but these Rabbis are not recognised by the establishment either. One of the biggest problems which the Falashas had to confront was that of housing. Several thousands of them still live in mobile houses. And until recently many of them were living in crowded hostels where families were packed in one or two rooms without any ventilation or cooking facilities. The Falashas marched in 1992 on foot from Ashkelon to Jerusalem to demonstrate against the miserable state in which they were living. People of all ages took part including the old, children and pregnant women. After some 20 km of marching when some began to show signs of exhaustion, they were met by the Minister of Absorption who tried to persuade them to call the march off. They complained about the deteriorating condition of their housing where the houses they lived in were no more than small suffocating cardboard boxes insufficient for a family of eight or more. The officials in charge of these mobile houses refused to assist. They asked for permanent houses and the Minister promised to solve the problem in three years’ time. One of the demonstrators told the Minister that if the problem was not resolved in three years the Falashas were going to explode in rebellion. 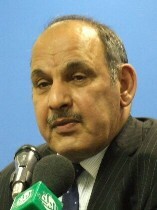 He also informed the Minister that “we have not learned any lessons from the mobile houses of the 1950s (referring to the Yemenite Jews’ problems) and the people do not know the scale of the problems which our children have to face in schools because they are placed in separate schools for years on their own. There is so much discrimination against the Ethiopian Jews generally and there are many stories about their diseases. The Director of the Ethiopian Jews Society told the Jewish Chronicle on 2/2/1996 that the Ethiopian Jews are scattered all over the country in many isolated locations. There may be several thousands of them in one location without a place for worship near to them. He accused the government of spiritual negligence. One of the main complaints of the Falashas is education, because of the discrimination against them in this field. From their first arrival in Israel the majority of their children were put in religious schools. They were not put in normal schools but had special classes made for them. The Director of the Ethiopian Jews Society said that around 80% of the Ethiopian teenagers study in special schools that teach Orthodoxy with a programme concentrating on the Hebrew language, which enables them to obtain lower jobs only. In these schools they have no opportunity to mix with other children. And when some other children are included in these special schools, they are usually from families which have problems and cannot cope with their children. This only goes to compound the problems of the Ethiopian children. Adisu Massala said: “The Ethiopian children are placed in the worst schools where they only meet underdeveloped children”. When the Ethiopian children are put on a vocational course, they find real difficulty in getting into the job market. In 1992 some 35 boys graduated from the Hadassa Niorim school after three years of studying and training. They applied for work through the Ministry of Absorption. Three local authorities initially committed themselves to employing them but then retracted their offer. The latest statistics issued by the Ethiopian Jews Society indicated that only 7% of Ethiopian students passed the high school general exam which is half the percentage of the Arab students. This is the lowest percentage among all the Jewish minorities. One member of the society indicated that the government has failed in bridging the gap between the Ethiopian children and others in the field of education. Also this year an Ethiopian soldier, Avi Asemere, was denied treatment in an army medical clinic by a Russian-born Israeli Major who told him it was “off limits to Kushim”. Adisu Massala – who is now the only Falasha Kenesset member – said that he had received numerous complaints from the immigrants in the army about racist remarks and mistreatment. Among the entrenched social problems faced by the Ethiopians is unemployment. A large proportion of them live on social benefit and unemployment reaches 50% among some sections of them, such as in Ashkelon. As the social benefit is not sufficient to live on some of the Falashas have converted to Christianity in order to be supported by the missionaries. The Jerusalem Report reported on 10/8/1995 that seven Ethiopian families from Upper Nazareth had converted to Christianity in order to save themselves from the misery they were in. It is believed that this behaviour is a reaction to the failure of Israeli society to absorb the Falashas and assimilate them. The Ethiopian Jews are attempting by this behaviour to fill the vacuum created by uprooting their traditions and replacing them with religious education which they were forced to accept. There is a possibility that the disappointment of the Ethiopian Jews with the Israeli government and society will in the future manifest itself in more violent and bitter protests against the government, especially after Israel achieves its peace with its Arab neighbours and the external threat disappears which has been used by the SI to prevent the emergence and surfacing of such problems. At the end of the last century Israel transported tens of thousands of Falashas who claim to be Jews and call themselves “Beita Yisrael” from Ethiopia to Israel in two operations – Operation Moses and Operation Solomon. Their numbers in Israel today are estimated to be about one hundred thousand. There is another Ethiopian group, called the Falash Mura who practise Christianity, go to church, marry Christian women, and wear crosses. Some of them are even Christian Orthodox priests. The Falash Mura claim to be descendents of the Falashas whom Christian missionaries converted to Christianity in the nineteenth and beginning of the twentieth centuries. The Israeli government has been quietly transporting these people to Israel since the 1990s. Almost every month a few hundred Falash Mura arrive in Israel unobtrusively. Their numbers in Israel now amount to twenty thousand and there are thousands more who have been gathered together by the Jewish Agency and other Jewish and Christian organisations in Gondar and Addis Ababa. The number of these people who have been living at the expense of these organisations while waiting to be airlifted to Israel is estimated to be about twenty thousand. This year the Israeli cabinet decided to speed up their transportation to Israel. This decision it seems was prompted by the report which the head of the Jewish Agency presented to the International Interdisciplinary Centre in Hetzellia, at its annual conference, in which he stated that the number of Jews in the world is decreasing. According to this report, fifty Jews are lost to the faith every day. The report also stated that the number of immigrants to Israel, particularly from countries of the former Soviet Union, is shrinking. The decision was made in the light of this background. As many Ethiopian nationals feel resentment about this operation, Israel decided to take these people gradually. According to the Israeli foreign minister, Silvan Shalom, “The Israeli government does not want to embarrass the Ethiopian government by taking its citizens”. But the Ethiopians say that what Israel is doing is damaging the history and the heritage of the country and say if Israel wants to really help these people she can do so where they are. The Ethiopian government for its part has objected to what it views as provocation in its internal affairs and has also cast doubts on the number who are willing to convert to Judaism. In fact some of the Falashas in Israel have disputed the claim of the Falash Mura and have also objected to their transportation to Israel. They maintain that these people are Christians who simply want to escape the life of poverty and destitution in which they live. Even some rabbis have refused to accept their claims. Some members of the Knesset have also objected to bringing so many Christian people to Israel, because they think that so large a number will affect the Jewish character of the country and will harm the fabric of society. But the head of the Jewish Agency has defended the decision to bring them to Israel and said that “The decision was right from humanitarian, Jewish and Zionist points of view and that Israel is not bringing them in accordance with the Law of Return but in accordance with the Family Reunion Law”. In fact some officials say that whether these people are of Jewish origin or not they are going to be converted to Orthodox Judaism on their arrival. Besides the Falash Mura, Israel is also bringing another Ethiopian group called the Qawara who live in the north east of the country. They claim that they are of Jewish origin and want to live in Israel. A few thousand of them are already living in Israel and thousands more are also being transported there by the government. An additional Ethiopian group are called the Gomez whom the Qawara bought as slaves from the Amhara people and converted them to their religion and became part of them. It seems that the transportation of these people from Ethiopia will not be the last one according to the Jerusalem Post newspaper whose correspondent went into the countryside and villages in Ethiopia to investigate. The correspondent found thousands of Ethiopians who claim to have connections with Judaism and want to be taken to Israel. Israel continues to bring these Ethiopians despite the problems those already settled in the country are having such as discrimination and poverty. A recent survey shows that 60% of the Falashas live in poverty and that unemployment among them is at a high rate. In fact it is the highest among Israeli groups. The rate of suicide among this group is also the highest in Israel. Besides, they have begun to reject the culture of Israel and to aspire towards that of Africa and the Caribbean. Some of them have begun to avoid serving in the army. All this it seems is a kind of protest against the discrimination they claim to have experienced. According to a recent survey 43% of Israelis would refuse to marry an Ethiopian or allow their children to do so. Besides the groups from Ethiopia, Israel is planning to transport some tens of thousands of people from tribes living on the borders between India and Myanmar. These people claim to be descendents of Menessah (son of Joseph, son of the patriarch Jacob who founded the Israeli tribes). Israel has already taken a few hundred of these people and put some of them in settlements in the Occupied Territories. Some Israeli rabbis have been sent by the chief Rabbinate to prepare them for immigration. The search for the so called Lost Jewish Tribes by Israel and Jewish Agencies stretches from Latin America through Africa to Asia. But the decision which will open the door wide for immigration is that of the Jewish Agency which allows any Jew by choice (non-Jewish person converting to Judaism) to emigrate to Israel. But Israel of course looks at immigration as an important source of strength in any negotiations with the Arabs and Palestinians. It also wants to offset the demographic expansion of the Palestinians whose numbers, according to statistics, in historic Palestine will be greater than the Jews in a few years time. The Christian population in Japan is small and does not exceed two and a half percent of the overall population of almost one hundred and thirty million people. Christianity is not new in Japan but has, in fact, been there for centuries. It is possible that because of the difficulties the missionaries faced the number of people who converted to Christianity was not large. As the missionaries were from different denominations so too were the converts. Many of these Christians are of Protestant denominations and some of them were influenced by Protestant ideas which emerged during the nineteenth century. One of these ideas is the belief in Jewish Zionism ie gathering the Jews together in Palestine.Those Christians who believe in this are called Christian Zionists. The modern Christian Zionist movement flourished in the United States during the nineteenth century and reached Japan through Japanese students who went to study in the United States and returned to Japan bringing Christian Zionist ideas back with them. Members of this movement number millions of people in the world nowadays but they mostly live in the West and mainly, in fact, in the United States. Those Japanese who adhere to this religious ideology are followers of a sect called Makuya. This sect was founded in Japan in the middle of the twentieth century, by a person called (Abraham) Ekuru Teshema (d.1973). Makuya is now the most famous and also the most active Christian sect in Japan and it is estimated that it has over seventy thousand followers and 100 centres which are scattered between California, South Korea, Taiwan and Hawaii. There is little information available about the founder of the sect. According to the information that we do have about him he was a merchant and joined one of the Christian movements of the time and became active within it. He embarked on a trip during the Second World War and went to China and Korea. This trip in fact remains a mystery. No one knows for sure what the purpose of this journey was. It is possible that he went there as a Christian missionary but we do not know for certain. There is also another mystery about his life that when he came back from his trip he was sought by the Americans who were occupying the country at this time, and to avoid capture he went up to the mountains and hid himself there until he felt it safe enough to come out of hiding. It is reported that when he did come out of hiding he claimed that he had heard a mysterious voice telling him to call for the reform of the teaching of the scriptures. He decided to devote himself to this mission and duly abandoned his business. He gave an importance to the Old Testament as well as to the New. As a result he gave much attention and respect to ancient Israel and the God of Israel and called on Christians to go back to the Hebrew origin of Christianity and to give respect to the Jews. He said in the introduction to one of his books “It is necessary that we give a fitting respect to the Jews if we want to understand the true Christianity”. He also called for a deeper understanding of the Jewish faith and Jewish history because he said that it is necessary for a complete understanding of the scriptures. Ekuru Teshema had met some Jewish philosophers like Marrin and had also read Abraham Hatchel, the Jewish philosopher. These philosophers had an influence on him as did Jewish symbols and rituals. As a result, the sect began to use the Menorah (candelabrum) which is the symbol of the state of Israel, together with other symbols of the Jewish faith. They embroider this symbol on the clothes they use during their ceremonies and they also place it in a prominent position during their worship. The Makuya also celebrate what they call Simhat Makuya similar to Simhat haTorah (the Joy of the Torah) which is celebrated by Jews yearly after they complete the reading of the Torah (Old Testament). The Makuya also sing Israeli popular songs particularly the one called Golden Jerusalem which is related to the occupation by Israeli troops of the city of Jerusalem which they call “liberation”. These people also consider Saturday as a rest day as the Jews do and light candles and eat a kind of Keshrut (food allowed by Jewish law). They also use a Jewish prayer book and have learned to speak Hebrew, and, perhaps, in order to facilitate their Hebrew studies have compiled the first Japanese-Hebrew dictionary. Members of the sect also use Hebrew personal names as well as their Japanese ones. The founder of the sect Ekuru Teshema visited Israel for the first time in 1961 and a year later he took some of his followers with him and they stayed in one of the settlements. Since then his followers go there regularly every year. Some of them stay there for quite some time to learn about agricultural techniques and they also learn the Hebrew language. While they are there they put on a garment coloured with blue and white (the colours of the Israeli flag) and go around the streets in Jerusalem holding up the Israeli flag and singing Israeli songs in a way that attracts the attention of passers by. On one of his visits to Israel Ekuru Teshema met the former president of Israel, Zalman Shazar, and explained to him how he had come to the conclusion that the Japanese are the descendents of the ancient lost tribes of Israel. He wrote a book on the subject called “The Ancient Diaspora of the Jews and the Tribe of Hada” in which he identifies the ancient Japanese tribe of Hada with the Jewish tribe of Judah and he suggests that they came to Japan during the third century AD. During the Israeli-Arab war in 1967 Ekuru sent some of his followers to fight on the side of Israel and one of them was wounded during this war. After the war Ekuru went to Israel with a delegation to offer his congratulations to Israelon its victory and he and the delegation went round Jerusalem singing and praising Israel and carrying a banner with the words “Congratulations on a Greater Jerusalem”. They said that their joy was beyond description because of the conquest of Jerusalem. In this year Ekuru Teshema’s name was inscribed in the Israeli Golden Book which contains the names of people (usually non Jews) who have helped or help Israel in different ways. Several times the sect has invited General Uzi Narkees who led a military unit to the east part of Jerusalem during the 1967 war to visit Japan. They call him the liberator of Jerusalem. Every year they also go to Israel to celebrate Independence Day together with the Israelis. They organise demonstrations from time to time in support of Israel and when the Japanese Red Army attacked Ben Gurion airport killing and injuring several people, Ekuru Teshema went at the head of a delegation to offer his condolences. In 1972 Ekuru had thousands of his followers demonstrate in Tokyoin support of Israel. This was the first demonstration of this kind in Japan. During the years when Israel was demanding that the former Soviet Union let Jews leave the country, members of the Makuya sect were praying in their churches which face Russia for the release of the Soviet Jews. Although this sect is basically a Christian sect it still practises some rituals which are not common in Christianity. One of these rituals is walking on fire bare-footed, which they call hiwatari. Although this is something practised by other Japanese groups, the Makuya sect gives it a different meaning. It says “It is an expression of sincerity towards the God of the Torah (Old Testament) and as such the fire does not hurt the people who walk on it and does not burn them because their faith is strong and their belief is solid. While they are performing this ritual they gaze at a huge Jewish Menorah (Candelabrum) which is normally placed in a prominent position and they also sing songs of the Zionist Palmakh gang (the gang which fought the Arabs before the establishment of Israel). This is one of the aspects of the influence of Zionism on them. The other ritual they practise which has no connection with Christianity is standing under freezing water for some considerable time. They read Hebrew prayers while performing this ritual which they call Mesauji. This ritual is also practised by other Japanese people and it may be of Japanese origin. This practice, it is said, lifts the spirit and purifies the mind. The members of the Makuya sect usually marry among themselves and do not marry outside. These people are probably influenced by their belief that they are descendents of the so called lost tribes of Israel and so are following Jewish practice. On this subject the founder of the sect has written a book as we have mentioned above. It is worth mentioning here that this belief is not unique to Ekuru but some other prominent Japanese Christians also believe in it. Among them is Ashimoro Kanzo (d.1930) who was a priest and graduate of an American university. Kanzo was also a Christian Zionist who wrote many books and articles on the subject. Nikada Juji (d.1939), also a Christian Zionist, was likewise a priest who founded a small Christian sect. In one of his books he said that Japan would help the Jews to occupy Palestine. This sect gave help to some of the Jewish refugees who went to Japan during the Second World War. It is possible that these people were influenced in their idea of the relationship between the Japanese and the Jews by the Scottish missionary Norman McLeod who wrote a book on this subject which was published in 1875 with the title “Epitome of the Ancient History of Japan”. The book found popularity among some Japanese who believed its content and among whom were the priests and scholars I have mentioned above. The belief of Christian Zionists in Japan in the Jewish origin of the Japanese people still has adherents in that country and in more recent times a prominent Japanese scholar, Arimasa Kubo, has written many articles on this subject and has also created a website devoted to it. He has also translated “The Biblical Hebrew Origin of the Japanese People” by Joseph Eidelburg which is the latest book to be published on this theme. This continuing belief among these Japanese scholars in the Jewish origin of their people shows how enduring this idea actually is, as this desire to trace and identify the lost tribes of Israel has extended as far as those distant islands.